New Zealand is known for its different weather conditions between the North and South Island. In the North Island you will notice the humidity and temperature increases the further you move north. The tropical climate makes it great for water activities such as surfing and kitesurfing. 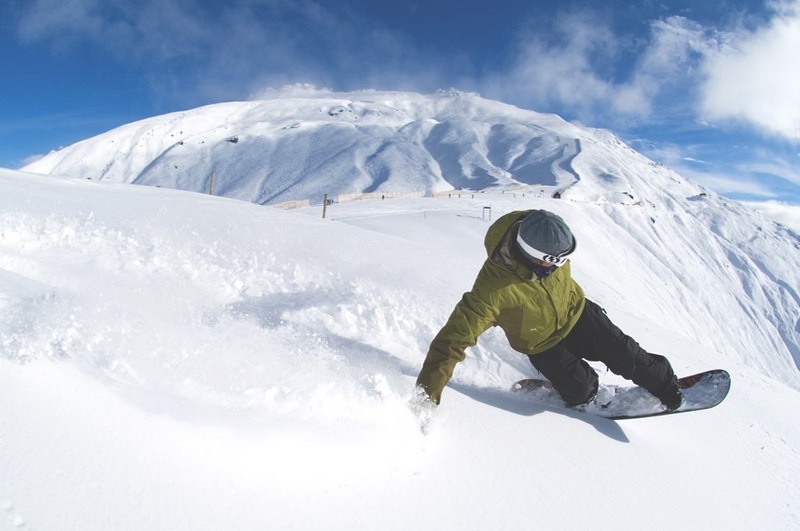 However, Mt Ruapehu and Mt Taranaki, situated in the middle of the North Island offers great snow opportunities. The South Island has The Southern Alps that divide the Island climatically with forested slopes and coastal plains of Westland providing wetter weather compared to the eastern slopes and Canterbury Plains. The Alps are sixteen peaks that rise along the Island, accompanied by a cooler climate and light, fluffy snow. The steepness of slope is perfect for beginner to advanced snowboarders and skiers and ensures the best ski or snow holiday in the Southern Hemisphere. On the downside, the steepness of slope, higher elevation and unpredictable weather, combined with poor road conditions, means access can be dangerous. There are 19 ski fields on the South Island that receive snow from all directions. New Zealand mountains are higher than Australia and on average, tend to receive more amounts of snow fall than Australia. If the wind comes from the North, it’s tropical and if it comes from the South, it’s from Antartica. We need the right combination of snow, weather and wind for quality snow. A lot of the ski fields are in close proximity that means there are plenty of options that cater to all abilities and skill sets. Australia is also a tropical country, with typically warm temperatures and dry heat, but the ability to get cold in the Winter. New South Wales is a subtropical climate region and the closer to the Southern Coast, the cooler the weather. Melbourne, in Victoria has a subtropical climate with four seasons in a day and little consistency. If you are going on holiday, pack clothes for snow, rain and sunshine. On the mountain, the tropical climate means that the temperature isn’t too cold and it’s often sunny, but it does get windy. You will notice that lower areas of resorts are quite insulated against the wind effects but at the top of the resort, it’s more exposed and thus more windy. The snow falls at night and strong facilities provide artificial snow that creates a perfect balance of skiable terrain. 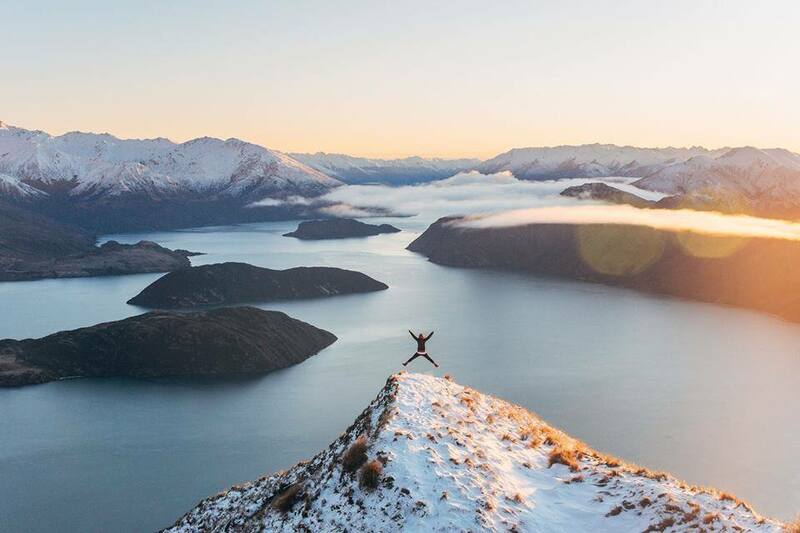 New Zealand’s size means there is short distance between different mountains that offers variation during a snow holiday as you can easily access other mountains. The feeling of being in the midst of mountains, crisp white snow and rolling terrain adds to the ambience. The Southern Alps offer steeper slopes perfect for intermediate and advanced skiers. There are no tree runs. Ski resorts are bigger in Australia but you are confined to that location with huge distances between ski resorts. Ski fields are mostly based on rolling mountains that is easier for beginners to learn on. For those that enjoy adrenaline and excitement, resorts such as Perisher has a steep run through gum trees for advanced skiers. The average distance from a ski resort to a city (average is taken from the top five resorts in each country) is 4 hours for Australia and 1 hour & 20 minutes for New Zealand. Australia has better road infrastructure, therefore trips to ski resorts are less dangerous. Roads in New Zealand are windy and accessing a ski resort can be particularly dangerous. Driving conditions are the same, adhering to traffic from the right and driving on the left. Cost… the big factor in planning a ski holiday. The average cost for a day ski pass in New Zealand is NZ$109 whilst in Australia it’s NZ$130. This is a rough indicator as a ski holiday in Australia means you would often purchase a four or five day pass and the daily cost becomes cheaper the more days spent on the snow. The same principle applies in New Zealand but if your based in Wanaka or Queenstown, you may alternate between two or three mountains depending on your budget, location and skill level. In Australia you are driving from main cities such as Melbourne or Sydney to a township closest to the mountain and staying in either a motor inn or hotel. The cheapest accomodation near Hothman Heights is NZ$107. In Falls Creek, Victoria, The Bright Cabin and Caravan Park is NZ$68. The cheapest accomodation in Queenstown for a no-frills experience is NZ$56. In Wanaka NZ$80 will get you a park cabin with wifi. The main cost factor for Australian’s is driving an average of 6 or 7 hours from major cities such as Sydney or Melbourne, verse flying to New Zealand (you can now fly direct to Christchurch and Queenstown). In Australia you have to pay for parking – in Thredbo you have to pay for a parking permit that is around NZ$36. In Queenstown, the Snowline Express shuttle costs NZ$15 return from Queenstown and leaves every 20 minutes during peak times.